This scheme provides financial support for undergraduate students who have serious physical and/or sensory disabilities and who are in the first year/stage of a primary degree programme in the constituent universities and recognised colleges of the National University of Ireland. NUI administers this scheme through the Disability Offices (or equivalent offices) within the constituent universities and recognised colleges. The scheme will be launched for 2019-2020 students in Autumn 2019. Further details will be made available on the NUI website. In 2018, a total of 67 students across the NUI federation received financial grants under the scheme. Contact awards@nui.ie for more information. NUI is committed to promoting greater social equity in Irish higher education through securing increased participation in the constituent universities by economically disadvantaged students. 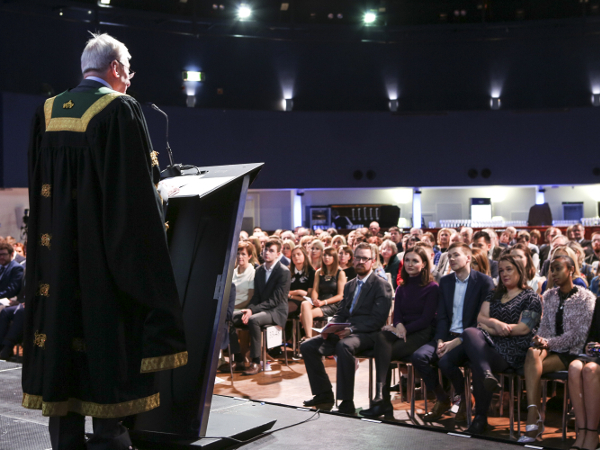 To provide further support, the Senate funds an NUI Equal Educational Opportunities Scheme to support students in economically disadvantaged circumstances. This scheme is administered directly in the constituent universities and recommendations relating to the allocation of funding are made to Senate by the President in each constituent university. Students cannot apply to NUI directly for this scheme.